The Vatican has appointed Archbishop Kelvin Edward Felix as the first-ever Cardinal from the English-speaking Caribbean. "I did not expect it at all," a surprised and elated Archbishop Felix told DBS News this morning. "I did not have an inkling that an archbishop of the Caribbean would be appointed a cardinal, so you can imagine how stunned I am and elated at the same time." Felix, 81, Archbishop Emeritus of Castries, St Lucia, is a Dominican and will be made Cardinal at a public Papal consistory on February 22nd at the St. Peter Basilica in Rome. The date marks the Feast of the Chair of Saint Peter. The following day, Pope Francis will preside at a solemn concelebrating with several new Cardinals. A private consistory with all the Cardinals will be held prior, on February 20 and 21. After the Angelus yesterday, Pope Francis said: "I will have the joy of holding a consistory, during which I will name 16 new Cardinals, who, coming from 12 countries from every part of the world, represent the deep ecclesial relationship between the Church of Rome and the other Churches throughout the world." Archbishop Felix is the retired Archbishop of Castries who lives here in Dominica at the moment. Dominica became a Diocese in 1850 and that country also has the distinction of giving the Caribbean its first Archbishop of the Church: the late Bishop Joseph Bowers, Bishop of Accra in Ghana. In April 2006, Felix miraculously escaped death on a Wednesday night when a 26-year-old man, armed with a knife, attempted to slash his throat outside the Roman Catholic Cathedral in Castries, St Lucia. Felix was attacked as he was preparing to enter his car. His Roman Collar was cut off his neck. According to the St Lucia Police, the Roman Collar saved the Archbishop's life. While he will be the first Cardinal from the English-speaking Caribbean, Felix will not be the first Cardinal from the Region as a whole. Another Cardinal, Cuba's Jaime Lucas Ortega y Alamino, was made Cardinal in 1994. Although cardinals generally join the Church in Rome, Archbishop Felix believes he will continue his residence in Dominica. "I doubt I will be called to live in Rome because once you are 75 years you demit office and any administrative post you hold at that age you have to submit your resignation." he said. 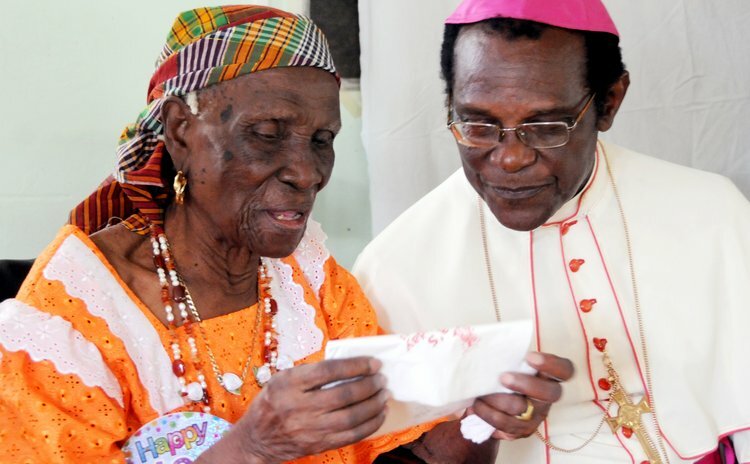 "That is why I am no longer the Archbishop of Castries where I served for 27 years." Gabriel Malzaire, the Bishop of Roseau, said it is an honour for Dominica to have the first Cardinal in the English-speaking Caribbean. "He's been given the title because of his faithfulness to the Church and his hard work over the years," Bishop Malzaire said." As a Catholic community it is an opportunity for us to rejoice over this important title give to a son-of-the-soil. I believe it's a moment of joy for everyone of us."